Anchor Cottage is a delightful detached cottage, well equipped and with gas central heating and Wifi. 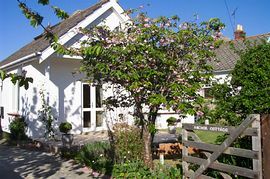 situated on the northern outskirts of Swanage, with beautiful views of the Purbeck Hills. With coastal and hill walks a few minutes from the cottage. 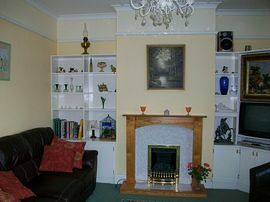 The accommodation consists of entrance hall, off of which is the lounge with gas fire, Freesat T.V. DVD player, CD/radio/cassette player, comfortable seating, doors onto front patio with views of the hills, table and chairs. The front garden is gated, with lawn and cottage garden borders, along with a paved terrace and patio table and chairs. off road parking. Downstairs bathroom, with over bath shower. Twin bedroom, double wardrobe,2 x chest of drawers. Kitchen which is well equipped with oven/hob, fridge, freezer, microwave, washing machine, small breakfast table and chairs. From here is a door to the conservatory dining room and access to rear sunny garden with BBQ and deck area overlooking a stream,grass and flower beds, views to fields and the purbeck hills. 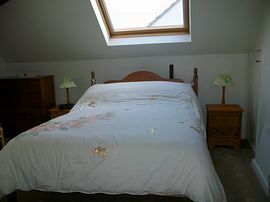 From the kitchen are the stairs to the master en-suite bedroom, with double bed, shower, washbasin and toilet. Please no children under 5, because of the small stream running through the rear garden. 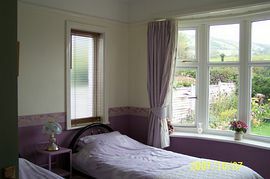 Short stays from £300.00 available, please enquire. Small stream runs through rear garden. Bed linen provided, please bring towels and tea towels. front and rear gardens with bbq and dining table. Off road parking. 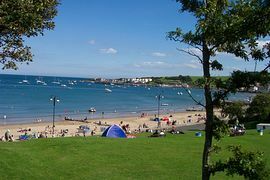 Local Services: Beaches, cliff and coastal walks.General store, indoor swimming pool and bar/restaurant. bus stop.18 hole golf course. All nearby. Take the B3551 from Corfe Castle turn right to Swanage, then right again, we are on the right hand side about a quarter of a mile. You can arrive by the chain ferry from Poole to Studland, follow the main road bearing left to Swanage, we are on right. From: £540 mid season to £760 high season. From Saturday 4th June through till Saturday 17th September.